1) Jordan – (co. Pembroke; of Anglo-Norman origin, the first settler in Wales having been Jordan de Cantington, one of the companions of Martin de Tours in his conquest of Kemmes, temp. William I. At the close of the 14th or beginning of the 15th century, Leonard Jordan m. the heiress of Dompledale; the family, which was once widely dispersed over co. Pembroke, is now extinct in the male line; Frances, fourth dau. and co-heir of the late Barret Bowen Jordan, Esq., of Neeston, co. Pembroke, by Martha, his wife, youngest dau. of John Adams, Esq., of Whitland, co. Carmarthen, m., in 1807, John Hill Harries, Esq., of Priskilly). Ar. a chev. betw. three greyhounds courant gu. 2) Jordan – (co. Dorset). Az. semée of crosses crosslet a lion ramp. or. 3) Jordan – (Giles Jordan, of Loughborough, co. Leicester, arms from his tomb; d. 1415). Quarterly, 1st and 4th, ar. three mullets gu., Jordan; 2nd and 3rd, sa. a chev. or, betw. three garbs ar. 4) Jordan – (co. Somerset, and Chittern Whistley, co. Wilts, 1604). Az. a lion ramp. betw. eight crosses crosslet fitchée or, a chief of the second (another, the lion charged with a crescent gu.). Crest—A mount or, over it a scroll with this motto, Percussa resurgo. Another Crest—A football ppr. 5) Jordan – (Catwick and Charlwood, co. Surrey). Three coats and crests. First, temp. Edward I., viz., az. semée of crosses crosslet, a lion ramp. or. Crest—A lion sejant or, sustaining a cross crosslet fitchée: this crest was granted 1629. 6) Jordan – (Catwick and Charlwood, co. Surrey). Second, sa. an eagle betw. two bendleti ar. on a chief or, three almond leaves vert. Crest—An almond tree ppr. fructed or. 7) Jordan – (Catwick and Charlwood, co. Surrey). Third, sa. an eagle displ. in bend betw. two cotises ar. a chief or. Crest—A demi lion or, issuant, resting on the sinister foot, and holding in the dexter an eagle’s head erased sa. Note.—This alteration in the arms and crest by grant 2 June, 1631. 8) Jordan – (Mountfield, co. Sussex). Sa. an eagle displ. in bend betw. two cotises ar. a sinister canton or. Crest—A lion sejant or, holding in his dexter foot an eagle’s head erased sa. 9) Jordan – (Pigeonsford, co. Cardigan). Gu. a lion ramp. betw. eight cross crosslets fitchée or, a chief of the second. 10) Jordan – (co. Wilts). Per pale az. and or, a chev. betw. three lozenges all counterchanged, on a chief gu. three martlets of the second. 11) Jordan – (co. Lancaster). Az. a cinquefoil erm. betw. three serpents nowed or, a border engr. of the second. Crest—A crescent or, issuing therefrom a plume of five feathers az. entwined by a serpent gold. Motto—Arte non vi. 12) Jordan – (co. Worcester). Gu. a fess betw. three lions’ heads erased ar. 13) Jordan – or Jerdon – (co. Worcester). Gu. a fret or, charged with three mullets sa. 14) Jordan – (Aldridge, co. Stafford; monument in the church). Sa. an eagle displ. betw. two cotises ar. 15) Jordan – Ar. a cross patonce betw. four martlets gu. (another, az. nine lozenges, three, three, and three; another, ar. three mullets gu.). Crest—A martlet with wings displ. gu. 16) Jordan – (Fun. Ent. Ulster’s Office, 1634, Christopher Jordan, of Dublin). Ar. on a fess sa. a mullet of the field, in chief issuant from the fess two demi lions ramp. gu. 17) Jordan – (Rosleven Castle, co. Mayo). Gu. a lion ramp. betw. three cross crosslets or. Motto—Percussus resurgo. 18) Jordayne – (London). Ar. on a fesse betw. three towers triple-towered gu. a lion pass. guard. or. Crest—On a chapeau gu. turned up erm. a hawk or, inside of the wings of the second. 19) Jordayne – (co. Somerset). Sa. an eagle displ. in bend betw. two cotises ar. on a chief or, three oak leaves vert (another, three escallops). 20) Jorden – (Welynton, co. Salop). Ar. a chev. betw. three greyhounds courant gu. Crest—A demi talbot gu. 21) Jorden – (Edward Jorden, Esq., of Priors Lee, co. Salop, Sheriff of the co., 1720). Sa. an eagle displ. in bend ar. betw. two cotises or, in the sinister chief quarter a canton of the third. 22) Jordan – Silésie – (An., 17 janv. 1816) – D’argent à la fasce d’azur ch d’une flèche du champ en fasce et acc de trois étoiles d’or rangées en chef Casque couronné Cimier une flèche d’argent posée en pal la pointe en bas entre un vol de l’aigle de Prusse Lambrequin d’argent et d’azur Supports deux lions regardants d’or. English: Argent a fess azure charged with an arrow of the field fesswise and accompanied by three etoiles or arranged in chief Crowned with a helmet Crest: an arrow argent placed palewise the base downwards between a pair of wings of an eagle of Prussia Mantling: argent and azure Supporters two lions reguardant or. 23) Jordan – Silésie – (An., 26 juillet 1862) – D’argent à la fasce d’azur ch d’une flèche d’argent posée en fasce et acc en chef de trois étoiles rangées du second Cimier une flèche d’argent posée en pal la pointe en bas entre un vol d’azur Lambrequin d’argent et d’azur Supports deux lions regardants d’or lampassés de gueules Devise NE CEDE SED CONTRA. English: Argent a fess azure charged with an arrow argent placed fesswise and accompanied by in chief three etoiles arranged as of the second Crest: an arrow argent placed palewise the base downwards between a pair of wings azure Mantling: argent and azure Supporters two lions reguardant or langued gules Motto: NE CEDE SED CONTRA. 24) Jordan – Ratisbonne – D’azur à la bande ondée d’argent acc de deux étoiles d’or Cimier un vol à l’antique aux armes de l’écu. English: Azure a bend undy argent accompanied by two etoiles or Crest: a pair of wings ancient with the arms of of the shield. 25) Jordan – Prusse – D’argent à trois cors de chasse de gueules liés virolés enguichés et pavillonnés d’or posés en pairle Casque couronné Cimier deux proboscides d’argent et de gueules. English: Argent three hunting horns gules tied [banded] bands [encircling the horn] rimmed with metal and the opening (of the horn) or placed en pall Crowned with a helmet Crest: two proboscides argent and gules. 26) Jordan – Prusse – (An., 1 oct. 1789) – Coupé au 1 de sinople à une couronne murale de gueules au 2 d’argent à trois cors de chasse de gueules liés et virolés d’or les deux du chef posés en pals l’embouchure en bas le dos à dextre celui de la pointe en pal l’embouchure en haut le dos à senestre L’écu bordé d’or Casque couronné Cimier un senestrochère tenant une épée au naturel posé sur le coude entre deux proboscides d’argent et de gueules Lambrequin d’argent et de gueules Supports deux lévriers au naturel colletés de sinople bordé et bouclé d’or. English: Per fess 1st vert with a mural crown gules 2nd argent three hunting horns gules tied [banded] and bands [encircling the horn] or the two from the chief placed palewise the mouthpiece downwards the back to the dexter that of the base palewise the mouthpiece upwards the back to the sinister the shield fimbriated or Crowned with a helmet Crest: a left arm holding a sword proper placed over the elbow between two proboscides argent and gules Mantling: argent and gules Supporters two greyhounds proper collared vert fimbriated and buckled or. 27) Jordan – Silésie – (An., 8 juillet 1800) – De gueules à trois cors de chasse de sable liés virolés enguichés et pavillonnés d’or posés en pairle Casque couronné Cimier un senestrochère tenant une épé au naturel posé sur le coude entre deux proboscides d’argent et de gueules Lambrequin d’argent et de gueules. English: Gules three hunting horns sable tied [banded] bands [encircling the horn] rimmed with metal and the opening (of the horn) or placed en pall Crowned with a helmet Crest: a left arm holding a sword proper placed over the elbow between two proboscides argent and gules Mantling: argent and gules. 28) Jordan – Vienne – (Conc. d’arm., 1477) – De sable chapé-ployé d’or l’or chargé de deux grenades de sable ouvertes de gueules et le sable chargé d’une grenade d’or ouverte de gueules les queues en bas feuillées chacune de deux pièces Casque couronné Cimier un vol chaque aile aux armes de l’écu. English: Sable chape ploye [division top centre curved to dex & sin base] or the or charged with two pomegranates sable open gules and the sable charged with a pomegranate or open gules the tail downwards leaved each of two pieces Crowned with a helmet Crest: a pair of wings each wing with the arms of of the shield. 29) Jordan – Zara (Dalmatie) – Palé de sable et d’argent de huit pièces Cimier trois plumes d’autruche une de sable entre deux d’argent. English: Paly sable and argent of eight pieces Crest: three ostrich feathers a sable between two argent. 30) Jordan – Valais – D’or à trois sapins de sinople posés sur le trois pics d’un tertre du même les fûts enlacés d’un ruban de gueules en fasce. English: Or three fir trees vert placed on the three peaks of a hillock of the same the trunks encircled with a ribbon gules fesswise. 31) Jordan – Trau (Dalmatie) – Coupé au 1 d’azur à une eau agitée d’argent en pointe surmontée de deux étoiles accostées d’or au 2 de sinople au chevron de gueules Casque couronné Cimier cinq plumes d’autruche alternativement d’azur et d’or Lambrequin d’or et d’azur. English: Per fess 1st azure with a river with curling waves argent in base surmounted by two etoiles side by side or 2nd vert a chevron gules Crowned with a helmet Crest: five ostrich feathers alternately azure and or Mantling: or and azure. 32) Jordan – Tyrol, Hesse, Galicie – De gueules à un senestrochère armé d’argent tenant une épée du même Casque couronné Cimier le bras posé sur le coude. English: Gules with a left arm armed argent holding a sword of the same Crowned with a helmet Crest: the arm placed over the elbow. 33) Jordan – Bâle – D’azur à la fasce ondée d’argent acc de deux étoiles (5) renversées d’or 1 en chef et 1 en pointe Bourlet de gueules et d’argent Cimier un demi-vol aux armes de l’écu Lambrequin d’or et d’azur. English: Azure a fess undy argent accompanied by two etoiles of 5 points reversed or 1 in chief and 1 in base wreath on the helmet gules and argent Crest: a single wing with the arms of of the shield Mantling: or and azure. 34) Jordan – Berne – D’azur à la fasce ondée d’argent acc de deux étoiles d’or 1 en chef et 1 en pointe Cimier un garçon issant habillé aux armes de l’écu supportant de chaque main une étoile d’or. English: Azure a fess undy argent accompanied by two etoiles or 1 in chief and 1 in base Crest: a boy issuant dressed with the arms of of the shield supporting in each hand an estoile or. 35) Jordan – Aragon – De sinople à deux lions rampants et affrontés d’or acc en chef de trois melons du même 2 et 1 le queues en haut. English: Vert two lions rampant and affrontant [face to face] or accompanied by in chief of three melons of the same 2 and 1 the stalk upwards. 36) Jordan – Allemagne – De gueules à la fasce ondée abaissée d’argent supportant deux pennons du même les hampes passées en sautoir Casque couronné Cimier les deux pennons posés en chevron renversé. English: Gules a fess undy abased [lower than normal] argent supporting two small triangular flags of the same the poles [of the flags] placed saltirewise Crowned with a helmet Crest: the two small triangular flags placed in chevron reversed. 37) Jordan – Allemagne – Écartelé aux 1 et 4 d’argent au lion de gueules au 2 échiqueté de gueules et d’argent au 3 d’azur à une étoile (8) d’or Casque couronné Cimier le lion issant Lambrequin à dextre d’argent et de gueules à senestre d’or et d’azur. English: Quarterly 1st and 4th argent a lion gules 2nd checky gules and argent 3rd azure with an estoile of 8 points or Crowned with a helmet Crest: the lion issuant Mantling: to the dexter argent and gules to the sinister or and azure. 38) Jordan – Finlande – (An., 27 janv. 1638) – De gueules à un senestrochère armé d’argent la main de carnation tenant une épée d’argent l’écu bordé d’or Cimier le senestrochère posé sur le coude. English: Gules with a left arm armed argent the hand carnation holding a sword argent the shield fimbriated or Crest: the left arm resting on the elbow. 39) Jordan – Lyonnais – (Arch. 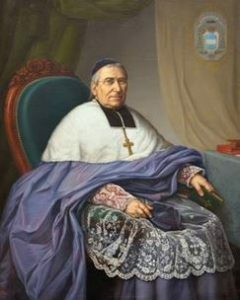 des coll. d’Ex-Libris) – De sinople à la fasce denchée d’or acc en chef de deux étoiles du même et en pointe d’une merlette d’argent Cimier un bras armé issant tenant une épée en bande Supports deux lions Devise IN VERITATE VIRTUS. English: Vert a fess indented or accompanied by in chief two etoiles of the same and in base a martlet [without beak or feet] argent Crest: a arm armed issuant holding a sword bendwise Supporters two lions Motto: IN VERITATE VIRTUS. 40) Jordan – Oetingen (Haute-Alsace), Guebwiller – (Arm. gén. de 1696) – D’argent à la bande de gueules à la rivière ondée en barre d’azur brochant sur la bande. English: Argent a bend gules with a river undy bendwise sinister azure covering over the bend. 41) Jordan – Lyonnais – De sinople à la fasce denchée d’or acc en chef de deux étoiles du même et en pointe d’un jars d’argent becqué et membré d’or. English: Vert a fess indented or accompanied by in chief of two etoiles of the same and in base a gander [male goose] argent beaked and legged or. 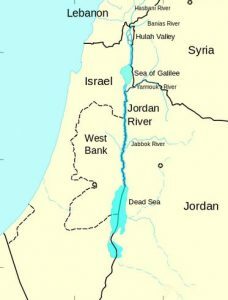 42) Jordan – Hollande – D’argent à une ancre de sable brochant sur deux bâtons de gueules passés en sautoir au chef de gueules ch de trois étoiles (5) d’or. English: Argent with an anchor sable covering over two batons [ragged staffs] gules placed saltirewise a chief gules charged with three etoiles of 5 points or. 43) Jordan – Languedoc – D’azur au chevron d’or acc en pointe d’un fascé ondé d’azur et d’or au chef de gueules chargé de trois étoiles d’argent. English: Azure a chevron or accompanied by in base barry undy azure and or and a chief gules charged with three etoiles argent. 44) Jordan – Jordan auf Wackerstein – Silésie, Bavière – (Conf. de nob., 1681; barons, 12 juin 1814) – Écartelé aux 1 et 4 d’or à deux fasces de sable (Oettinger d’Oetting et de Wackerstein) aux 2 et 3 de sinople à trois cors de chasse de gueules liés et virolés d’or posées en pairle les embouchures dirigées vers le coeur du quartier (Jordan d’Alt-Paschkau) Sur le tout de gueules à un senestrochère armé d’argent mouv du flanc la main de carnation tenant une épée d’argent garnie d’or en barre Deux casques le 1er timbré d’une couronne ordinaire le 2 timbré d’une couronne murale de gueules Cimiers 1° le bras du surtout mouv de la couronne entre deux proboscides coupées d’argent sur gueules Lambrequin d’or et d’argent 2° un buste de vieillard de profil habillé aux armes du 1 coiffé d’un bonnet albanais de sable retroussé d’or Lambrequin d’argent et de gueules. English: Quarterly 1st and 4th or two bars sable 2nd and 3rd vert three hunting horns gules tied [banded] and bands [encircling the horn] or placed en pall the mouth directed towards the heart of quarter on an escutcheon gules with a left arm armed argent coming from the flank the hand carnation holding a sword argent hilt and pommell or bendwise sinister two helmets the first item with a plain crown the 2nd item with a mural crown gules Crests: 1st the arm of the above coming from the crown between two proboscides per fess argent over gules Mantling: or and argent 2nd a bust of an old man in profile dressed with the arms of 1 wearing on the head a Albanian [woollen?] hat sable turned up or Mantling: argent and gules. 45) Jordan – Jordan d’Alt-Paschkau – Silésie – (M. ét. le 18 sept. 1811) – De sinople à trois cors de chasse de gueules liés et virolés d’or posés en pairle les embouchures dirigées vers le coeur de l’écu. English: Vert three hunting horns gules tied [banded] and bands [encircling the horn] or placed en pall the mouths directed towards the heart of the shield. 46) Jordan – Jordan de Chassagny – Forez, Lyon – (An., 18 août 1814) – De sinople à la fasce denchée d’or acc en chef de deux étoiles du même et en pointe d’un jars d’argent becqué et membré du second ou au naturel Cimier un bras armé d’argent tenant une épée Supports deux lions regardants au naturel Devise IN VERITATE VIRTUS. English: Vert a fess indented or accompanied by in chief two etoiles of the same and in base a gander [male goose] argent beaked and legged of the second (alternatively) proper Crest: a arm armoured argent holding a sword Supporters two lions reguardant proper Motto: IN VERITATE VIRTUS. 47) Jordan – Jordan-Droz – Neufchâtel – (Tripet et Colin) – De gueules au chevron d’argent acc en chef de trois annelets mal-ordonnés d’or. English: Gules a chevron argent accompanied by in chief three annulets disordered [1 2] or. 48) Jordan – Jordan Rosselet – Neufchâtel – (Tripet et Colin) – De gueules à un rossignol d’or contourné et posé sur un tertre de trois coupeaux du mesme le tout acc en chef de cinq annelets d’argent remplis de sinople posés 1 2 et 2. English: Gules with a nightingale or reversed and placed on a hillock of three peaks of the same all accompanied by in chief five annulets argent voided vert placed 1 2 and 2. 49) Jordans – Prov. rhénanes – (An., 19 sept. 1842) – De gueules à la fasce ondée d’argent acc de trois étoiles d’or Cimier une étoile d’or entre un vol de gueules chaque aile ch d’une fasce ondée d’argent Lambrequin à dextre d’argent et de gueules à senestre d’or et de gueules. English: English:Gules a fess undy argent accompanied by three etoiles or Crest: an estoile or between a pair of wings gules each wing charged with a fess undy argent Mantling: to the dexter argent and gules to the sinister or and gules. 50) Jordany – Provence – Joseph-Antoine-Henri , évêque de Toulon 1856-1876 – D’argent à un poisson au naturel nageant dans une eau du même au chef d’azur chargé de trois étoiles du champ Devise IN VERBO TUO LAXABO RETE (Alias pour François vicaire de Tourrette le champ est de gueules et le poisson contourné d’or et pour Jean avocat et Pierre ménager de Cannes avec le champ d’azur le poisson d’argent et le chef de gueules avec les étoiles d’or). English: Argent with a fish proper naiant [swimming] in a river of the same a chief azure charged with three etoiles of the field Motto: IN VERBO TUO LAXABO RETE. (alternatively, for Francois, Vicar or Tourrette the field is gules and the fish reversed or, and for Jean and Pierre of Cannes with the field azure the fish argent and the chief gules with the etoiles or). 51) Jordens – Deventer – D’or à un cerf de gueules couché sur une terrasse de sinople Bourlet de sinople et de gueules Cimier une ramure de cerf de gueules. English: Or with a stag gules laying on the ground on a mount vert wreath on the helmet vert and gules Crest: a pair of antlers of a stag gules. 52) Jordaan – Haaksbergen, Pays-Bas – D’argent à deux vaisseaux affrontés de gueules voguant sur une eau au naturel les voiles ouvertes acc en chef de trois étoiles (6) aussi de gueules le tout soutenu d’une champagne d’or couronne de noblesse. English: Argent two three masted ships affrontant [face to face] gules sailling over a river proper the sails full accompanied by in chief three etoiles of 6 points also gules all supported by a base or Crest: a noble crown. 53) Jordaens – Brabant – De gueules à trois chevrons d’or acc de trois annelets d’argent 2 en chef et 1 en pointe. English: Gules three chevrons or accompanied by three annulets argent 2 in chief and 1 in base. 54) Jordon – Azure a lion rampant between three crosses crosslet or. Crest—Out of a mural coronet a hand proper vested azure brandishing a sword waved of the first. This name derives from the Christian baptismal name Jordan, which in turn derives from the Jordan River that flows from the Sea of Galilee to the Dead Sea in the biblical Holy Land and the modern day Middle East. In Hebrew, the river was called the Yarden in Hebrew, deriving from the word yarad, meaning “to go down” (to the Dead Sea in this case). It was considered the “river of judgment”. The word jardain is Gaelic, meaning western river (as the Euphrates was considered the eastern river?). The name was brought into Europe, Christendom, and the Holy Roman Empire by Crusaders and the Knights Templar, who gave the name to their children, who they often baptized (along with pilgrims) with water taken in flasks from the river itself (as Christ was baptized in the river by John the Baptist). It became a common personal name, and then a patronymic surname meaning “the son of Jordan” found through nearly all of Europe. In Britain, some claim the family descends from Jordan de Cantington, later known as Jordan of Exeter, a Knight who accompanied William the Conqueror during the Norman Invasion of England in 1066 AD. It’s also claimed the accompanied Strongbow (born around 1100 AD), Earl of Pembroke, who invaded Ireland in 1172 AD and received lands from King John of England. It’s claimed his descendants, the de Exeters, assumed the surname of MacJordan. Another author claims it was adopted by a Connacht family who came in 1172 AD and comes from the Gaelic MacSiurtain. 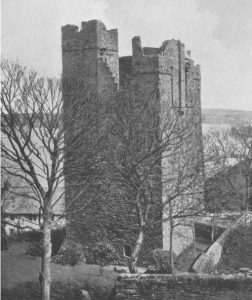 The family became Lords of Athleathan in the Barony of Gallen in county Mayo. In France, it was first found in Bittany during medieval times. In his book, Patronymica Britannica, Mark Antony Lower rejects the above theory and instead asserts the surname derives from the old Norman baptismal name Jourdain, a corruption of the Latin personal (first) name Hodiernus, occurring in Sackville. A third theory, contained in a Dutch source, is that the name is related to the first and last name Gregory. Familyjordan.com offers the following legend, regarding a one Sir William Dearborn who was part of the Third Crusade in the Holy Lands and “Sir William performed a number of heroic deeds during a battle at the River Jordan. These deeds were witnessed by King Richard the Lionhearted who promptly dubbed Sir William as “Sir Jordan” in honor of his heroic performance. Sir William asked the King for permission to change his Surname to “Jordan” and also to change the name of the Hamlet where he lived to Jordan. The King granted this request and according to the Dartmoor Historical Society the Surname of Jordan was born. The Hamlet of Jordan still exists in the Moors of Dartmoor in Devonshire, England”. Common spelling variants or names with similar etymologies include Jordon, Jorden, Jordayne, Jordaan, Jodany, Jordaen, Jordans, Jordane, Jordaine, Jourdane, Jurden, Jordean, MacJordan, and McJordan. One author claims Judd was the nickname and Judkin the diminutive. The last name Jordan ranks 105th in popularity in terms in the United Status as of the 2000 Census. The name ranks particularly high in the following nine states: Georgia, North Carolina, Maine, Arkansas, Mississippi, Alabama, South Carolina, Virginia, and Ohio. The surname Jordan frequency/commonness ranks as follows in the British Isles: England (213th), Scotland (522nd), Wales (244th), Ireland (220th) and Northern Ireland (233rd). In England, it ranks highest in county Kent. In Scotland, it ranks highest in Shetland. In Wales, the surname Jordan ranks highest in Monmouthshire. In Ireland, it ranks highest in county Mayo. In Northern Ireland, it ranks highest in county Down. The name is also present throughout the remainder English speaking world: Canada (560th), New Zealand (265th), Australia (295th), and South Africa (832nd). The 1890 book Homes of Family Names by H.B. Guppy, states the following in regard to this surname: “Jordan is a name established in many other parts of England besides the North and East Ridings, for instance, in Bucks, Derbyshire, Devonshire, Essex, Gloucestershire, Oxfordshire, etc. In the 13th century it was common as Jordan and Jurdan in Oxfordshire, and was also represented in Lincolnshire, Norfolk, Suffolk, etc. The Jordans of Enstone, Oxfordshire, have been resident in that parish since the 14th century. This surname is a form of Jourdain, an early Norman baptismal name”. As a personal name, it was first documented in the Registers of the Abbet of Bury St. Edmunds in Suffolk, England in 1121 AD. The earliest known bearer of this surname was John Jorden who was documented in Cambridge in 1202. Walter Jurdan was recorded in Sussex in 1327 AD. The Hundred Rolls of 1273 AD, a census of Wales and England, known in Latin as Rotuli Hundredorum lists two bearers of this surname: Roger filius Jurdan (Cambridgeshire) and Robert filius Jordan (Oxfordshire). The Poll Tax of Yorkshire in 1379 AD lists one bearer of this last name: Matilda widow of Jordani. George Fraser Black’s 1946 book, The Surnames of Scotland, states the following in regard to this surname: “Jordan the Fleming was chancellor to David I in 1142—43, in a charter of Adam son of Swain, c. 1136—53. Jordan de Wodford, charter witness in Angus, c. 1170. Jordanus Brae granted a piece of land to the church of S. Mary and S. Kentigern of Lanark, c. 1214. Magister William Jordanus witnessed confirmation charter by Gilbert, bishop of Aberdeen between 1228—39”. The famous genealogist Bernard Burke’s book “The Landed Gentry” discusses one branch of this family: Jordan of Pigeonsford. George Bowen Jordan, Esquire of Pigeonsford in county Cardigan and Dumpledale, county Pembroke, Justice of the Peace and Deputy Lieutenant , as well as High Sheriff in 1836. He was born in 1836 and in 1831 he married Ellen, daughter of Sir John Owen, Bartonet of Orielton, and had five issue with her: George Price, Barrett Price, Ellen Evelyn Elizabeth (married Admiral Charles Hope), Elizabeth Maria (married Morgan Jones), and Angelina. His birth name was Price and he took the name Jordan under the will of Reverend John Jordan of Dumpledale. He later married Ellinor Laura, only daughter of Richard Owen Powell. The family has Anglo-Norman ancestry. The first settler in Wales was Jordan de Cantington, a companion of Marin de Tours, in his conquest of Kemmes during the reign of King William I (1066 AD). At the end of the 1300s and beginning of the 1400s, Leonard Jordan married the heiress of Dumpledale and acquired that estate, from which point they spread over the county of Pembroke. The Jordan Coat of Arms (mistakenly called the Jordan Family Crest) of this branch of the family has the following blazon in heraldry: Gules, a lion rampant between eight crosses crosslet fitchee or, a chief of the second. Joseph Thomas Jordan was born in Whixley, England in 1480 and he married Rachel Glitchens Crawford with whom he had a son named William. William was born in Dorset, England in 1499 and he married a woman named Edith with whom he had a son named John. This John Jordan was born in Ashchurch Parish, Gloucestershire in 1525 and he married Isabella Rambage with whom he had a son named Richard. This Richard was born in the same town in 1555. He married Jolien Flicow and had a son with her named John. John Jordan was born in the same town in 1590 and he married a woman named Dorcas with whom he had a daughter named Jane. He went to colonial America and died in Virginia. Jane Jordan was born in England in 1618 and went to Virginia. She married into the Spence family and had two issue: Patrick Spence and Mary (Spence) Peak. Richard Jordan I was born around 1620 and had a wife named Alice, with whom he had two issue: Richard II and John I. His son John Jordan I was born in Virginia (county Isle of Wight) around 1650 and he married Jane Brown with who he had two sons: John II and Solomon. His son John Jordan II was born in the same county in around 1679. He married a woman named Jane and had a son named Charles. His son Charles was born in 1700 and married Abigail White and had the following children with her: Sarah (Smith), Charles, John, Leah (Smith), Rachel (White), Jacob, James, and Robert. His son Jacob Jordan was born in North Carolina in 1732 and he married Patience Small with whom he had the following issue: Joseph, Jonathan, Joshua, Leah (Bonner), Rachel (Elliott), Patience (Elliott) and Jacob Jr. His son Joseph was born in Chowan, NC in about 1752 and married a woman named Mourning. They had the following issue together: Fanny, Jacob, Pennice, Rachel, Joseph, Thomas, John, Mary, and William. His son William was born in 1795 and he married Letty Ludlow in Ohio in 1813. 1) Francis Jordan, Ipswich in 1634, in 1635, married Jane Wilson and had issue: Sarah (1636), Hannah (1638), Mary (1639), Mary (1641), Lydia (1643), and Deborah (1645). 4) John Jordan, Plymouth, 1643, who was the father of Jehosabeth that married, 1665. 5) Robert Jordan, Casco, came as a preacher before 1641, probably having deacon’s or priest’s order from Episc. ; author, married Sarah, only daughter of John Winter. In the Indian utilities, 1675, he withdrew to Portsmouth and there died, 1679, aged 68. His wife md children, John, Robert, Dominicus, Jedediah, Samuel and Jeremiah, are in will carefully provided for. 6) Stephen Jordan, Ipswich, 1634, came and had Mary and John, moved to Newburgh, had wife named Susanna, and had two daughters who married Robert Cross and John Andrews. 7) Thomas Jordan, Guilford, 1650, came from Kent, England, went back in 1651, daughter married Andrew Leete. 8) Thomas Jordan, Rehoboth; married 1674, Esther Hall, daughter of Edward of the same. Sisyle Jordan (came aboard the Swan in 1610 at the age of 24) was recorded as living in Virginia in 1623 (at Jordans Jorney), as were Mary and Margery Jordan. 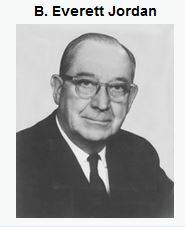 Thomas Jordan was also recorded in the same state in the same year. Thomas Jorden came to Virginia at the age of 24 aboard the Diana in the 1620s. James Jordan came to the Barbados in 1679 aboard the Mallego Merchant. William Jordan came to the Boston in 1679 aboard the Prudence and Mary. Joane Jorden, age 16, came to New England in 1635 aboard the Abbigall. Early settlers in colonial America bearing this name Guillame Jordan (Louisiana around 1720), Eliza Jordan (Virginia 1719), Claude Jordan (Louisiana 1719), Antoine Jordan (Louisiana 1719), Michael Jordan and (Virginia 1723). In Canada, one of the first bearers of this surname was James Jordan who arrived in Halifax, Nova Scotia in 1749. In Australia, one of the first people with this last name was Robert Jordan who came in 1839 aboard the Alice Brooks to the city of Adelaide. Several other bearers came in the same year aboard the City of Adelaide: E., Mary, William, and S. Jordan. In New Zealand, Thomas Jordan, a miller aged 26, came to Nelson aboard the Phoebe in 1843. I researched the following three resources and did not find any coats of arms for Jordan: Bolton’s American Armory, Matthew’s American Armoury and Bluebook, and Crozier’s General Armory. 3) Edmond Jordan of Gatwick, Surrey, High Sheriff in 1628, son of William, alteration 2 June 1631 by R. St. George, Clar. 5) Jorden, of Callyee, Sable an eagle displayed in bend between two cottises, argent on a chief or, three oak leaves vert. There are hundreds of notable people with the Jordan surname. This page will mention a handful. Famous people with this last name include: 1) Michael Jordan (1963) who was born in Brooklyn, New York and became the most well-known and considered by many to be the best professional basketball player of all time who played 15 seasons in the NBA, mainly on the Chicago Bulls, who won six championships and won two gold medals in the Olympics, 2) Benjamin Everett Jordan (1896-1974) who was a Democrat that served as the United States Senator from North Carolina from 1958-1973, 3) Barbara Jordan (1936-1996) who was a lawyer, educated, and politician involved in the Civil Rights Movement that was a Democrat who became a member of the US House of Representatives for Texas during the 1970s, 4) James Daniel Jordan (1964) who is a member of the US House of Representatives for Ohio, 5) Carl Friedrich Wilhelm Jordan (1819-1904) who was a German writer and politician born in Insterburg, East Prussia, 6) Marie Ennemond Camille Jordan (1838-1922) who was a French mathematician born in Lyon known for his contributions in group theory (algebraic structures), 7) David Starr Jordan (1851-1931) who was an educator, peace activist, eugenicist, and ichthyologist (study of fish), who was born in New York and became the president of Indiana University, as well as the founding president of Stanford University, 8) Ernst Pascual Jordan (1902-1980) who was a theoretical and mathematical physicist born in Hanover who made significant contributions to quantum mechanics and field theory, 9) Richard Lamont Jordan (1974) who was born in Holdenville, Oklahoma who became a professional football player in the NFL and played for the Detroit Lions and Kansas City Chiefs, 10) Stephen Robert Jordan (1982) who was an English football (soccer) player born in Warrington, England who has played for numerous teams (ex. Manchester City, Sheffield United), and 11) Robert W. Jordan (1945) who is an American lawyer and diplomat that was the Ambassador to Saudi Arabia during the early years of the George Bush Administration. Three prominent symbols in the Jordan Coat of Arms are the buglehorn, estoile, and bend wavy. The hunting horn, or bugle horn has a distinctive shape, being curved almost into a semi-circle, it can be decorated with bands of a different colour and typically hangs from a string, also coloured. Apart from its obvious reference to the pursuit of hunting, it has also been used in allusion to the name of the holder (HUNTER of Hunterston) and Woodward suggests it is also associated with those who have rights or obligations to the forest. The bend is a distinctive part of the shield, frequently occurring and clearly visible from a distance – it is a broad band running from top left to bottom right. It can be further distinguished by embellishing the edges. The decorative edge pattern Wavy, sometimes written as undy is, for obvious reasons, associated with both water and the sea. Indeed, a roundel with alternating bars of azure and argent (blue and white) is known by the shorthand term fountain, representing water at the bottom of a well. Other colours have also been used and the result can be very pleasing to the eye.